Other features and mechanicals including the 102cc single-cylinder engine remain the same. Brake setup remains the same as the Platina 100 ES Alloy variant, but it now comes equipped with CBS. It’s Rs 6,905 cheaper than the Platina 100 ES Alloy variant. 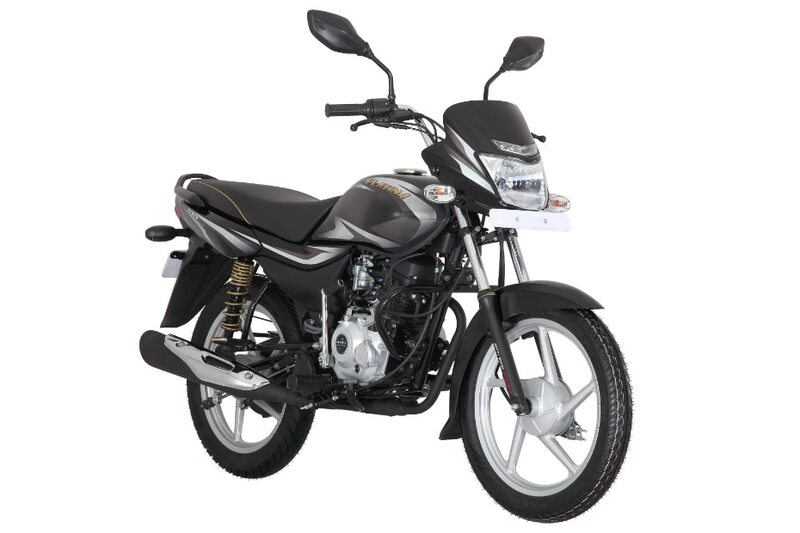 Bajaj has launched a more affordable variant of the Platina called the Platina 100 KS. The new variant is priced at Rs 40,500 (ex-showroom Delhi), which makes it Rs 6,905 more affordable than the ES Alloy variant. As the name implies, the Platina 100 KS comes with just a kick start and misses out on an electric starter. Other than this miss, the Platina 100 KS gets all the features the Platina 100 ES Alloy comes with. In terms of design, both the variants look exactly the same. Just like the standard variant, the KS gets LED DRLs and alloy wheels. It is available in two paint options - black and red. The Platina 100 KS remains mechanically identical to the Platina ES Alloy. It is powered by a 102cc single-cylinder engine that pumps out 7.9PS of power at 7,500rpm and 8.34Nm of torque at 5,500rpm. Power is sent to the rear wheel via a conventional four-speed transmission. It features telescopic forks with 135mm of travel at the front and twin shock absorbers with 110mm of travel at the rear. While braking remains the same (130mm front and 110mm rear drum brakes), it gets an extra safety net of a Combined Brake System (CBS). Surprisingly, the Platina 100 ES is yet to receive the CBS update, which raises the question whether Bajaj is looking to discontinue that variant. Bajaj already sells one more variant of the Platina with a 110cc motor called the Platina 110 so it remains to be seen if the bikemaker sticks to three variants of the Platina or two. 26th March 2019: Bajaj Auto, one of the World’s leading automobile companies, has now launched the Platina 100 Kick Start (KS) across the country. Platina is well known for providing class leading comfort, thanks to its ‘ComforTec’ technology. It is also recognized for superlative mileage due to its DTS-i technology. The new Kick Start variant comes with CBS (Combi Brake System) making it even safer and reliable for everyday commute. Commenting on the introduction of the new variant, Mr. Sarang Kanade, President Motorcycle Business said “Platina is known for delivering supreme comfort along with great mileage to commuters. With the introduction of the Platina 100KS, we are now able to offer great value at an unbeatable price point. Available in Ebony black with silver decals, and Cocktail wine red, the new Platina 100 KS is priced at ? 40,500 (ex-showroom Delhi) and will be available across all Bajaj Auto dealerships in India.